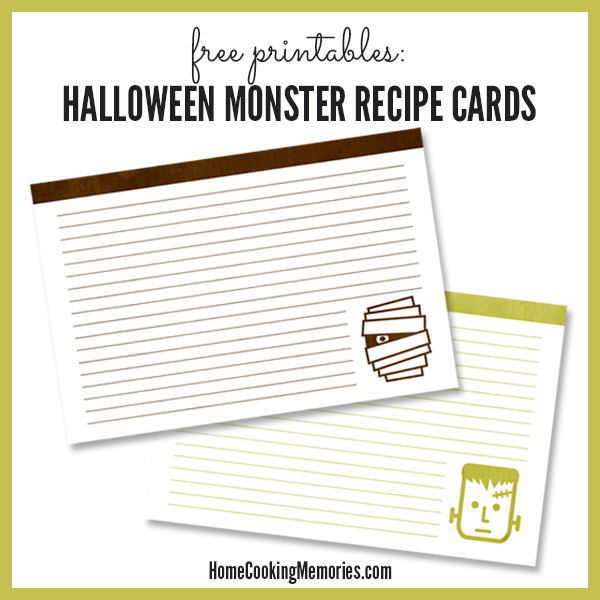 Document your favorite Halloween recipes with my free printable recipe cards for Halloween! One of my favorite things for preserving family life is recipe cards. I love “old school” recipe keeping — the process of jotting down a recipe in my own handwriting. But, I also like creating and using digital recipe cards because of how simple they are. While I’ve shared lot of free printable recipe cards designed by others, it dawned on me this week that I still haven’t given away my own set. It’s rather sad actually, considering that I used to design recipe keeping products before I started blogging full-time. It’s about time I changed that, don’t you think? 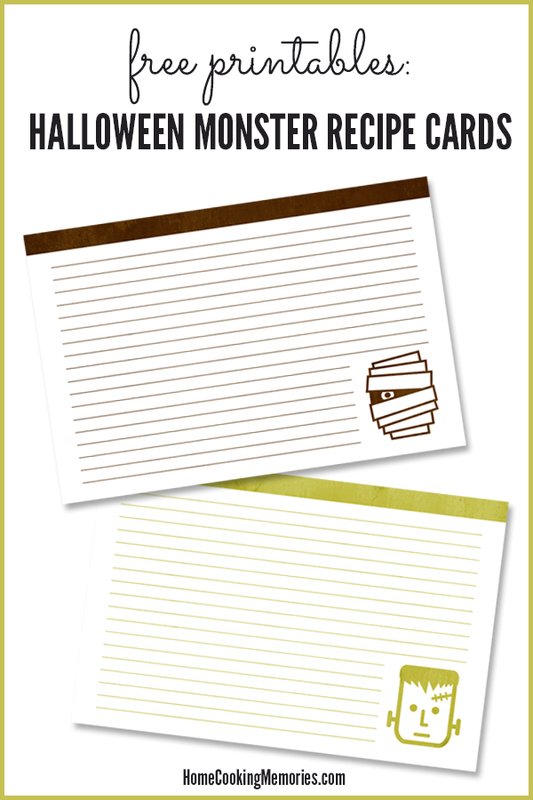 Since Halloween isn’t seen much in recipe cards, I thought a Halloween set would be quite useful. 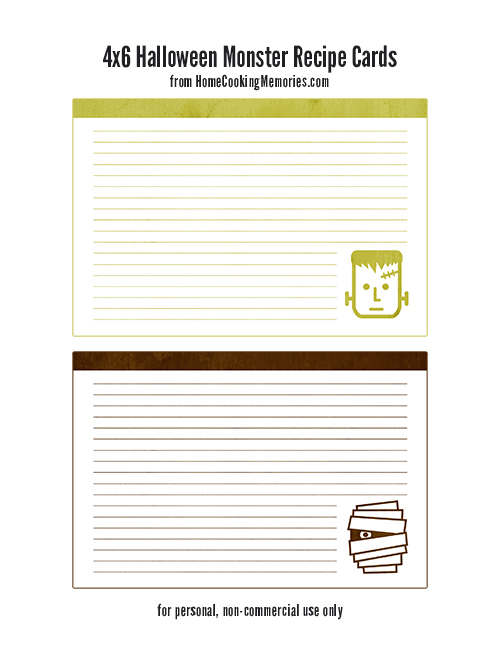 These recipe cards can be used to write down your favorite Halloween recipes – whether it’s a sweet treat or a fun dinner idea. Or they can be used to package with a homemade food gift, such as homemade Halloween cookies. If you scrapbook, you can even print these out to use as journaling spots. 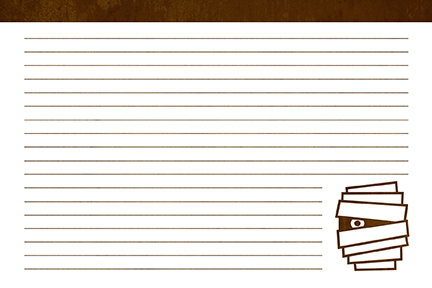 One features a cutie Frankenstein and the other is a Mummy peeking out at you — both are sized 4×6″. To get your free Halloween recipe cards, just click on the recipe card images or on the links below (don’t print the images in this post as they aren’t high resolution and won’t print at the best quality). Both cards are on one sheet for easy printing. I recommend printing on a cardstock that works well in your printer. 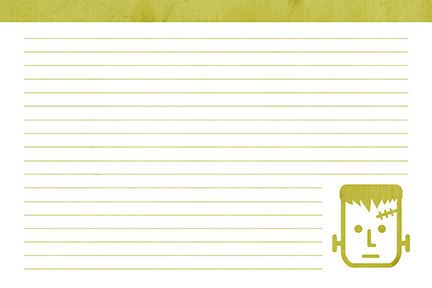 There is a very thin, faint line around the edges to use as a guide when cutting out your cards. Please note: this recipe card download is for personal, non-commercial use only. You are welcome to link to this page or pin on Pinterest, however the actual file/printable cannot be offered for download on any other site or blog. we throw a Halloween party every year. Our favorite Halloween tradition is hanging out with the neighbors while the kids trick or treat. Watching horror movies and eating popcorn. Handing out candy to trick or treaters – my favorite thing about Halloween. love this! Thank you for the chance to win!